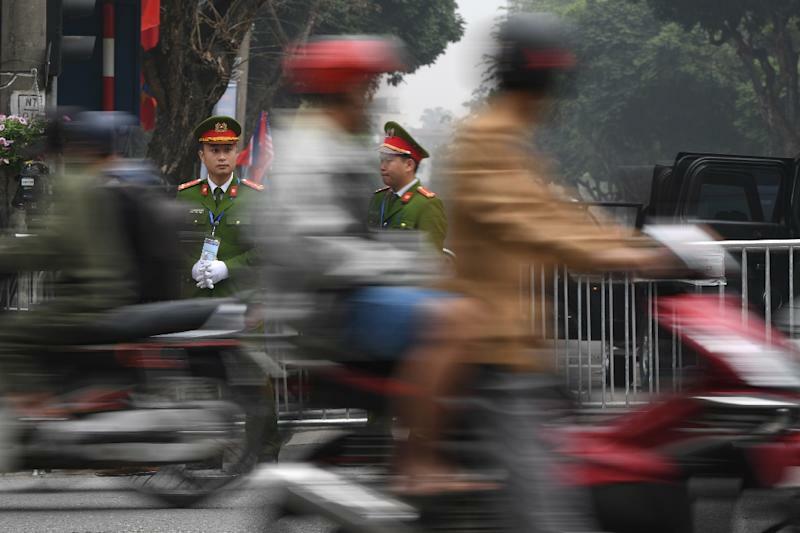 A Hanoi court jailed two former senior oil executives on abuse of power charges Friday, as Vietnam forges ahead with a crackdown on graft. Dozens of high-flying executives and former officials have been ensnared in the hardline communist government's anti-corruption dragnet, captivating a country unused to seeing powerful figures punished openly. The latest to fall worked for Vietsovpetro, a Russia-Vietnam joint venture petroleum firm based in the southern port city of Vung Tau, and were arrested last June on charges of "abusing power to appropriate property". Former director-general Tu Thanh Nghia and ex-chief accountant Vo Quang Huy were sentenced to 3.5 years and seven years respectively, state-controlled Vietnam News Agency reported, with both also banned from holding managerial positions in state agencies and enterprises for three years after their release. Both men were accused of pocketing excessive interest payments from Ocean Bank, a privately-owned lender already embroiled in its own corruption scandal. Dozens of Ocean Bank employees have been convicted including former director Nguyen Xuan Son, who was sentenced to death for embezzlement and economic mismanagement in 2017. Hanoi has vowed to root out graft at the highest ranks of business and government and said it will also go after day-to-day corruption. But analysts have said the campaign is also being used to settle scores and sideline political rivals. Vietnam is ranked 117 out of 180 on Transparency International's Corruption Perceptions Index, among the lowest in the region.